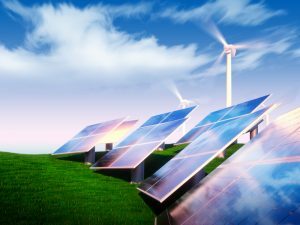 Can renewables cost less than fossil fuel generation? And are they as reliable? It appears so, especially when they are coupled with a suite of distributed energy resources (DERs), such as virtual power plants and demand response. New reports by Energy Innovation Policy and Technology and the Rocky Mountain Institute (RMI) lay out the argument. In the The Coal-Cost Crossover, Energy Innovation partnered with Vibrant Clean Energy to create data about coal, wind and solar costs. The report compares coal plants’ marginal cost of energy to the lowest levelized cost of energy for wind or solar resources located near the plant. Costs for most coal plants ranged between $33–111/MWh. Costs in 2018 for solar were between $28-52/MWh. “We simply took all the annual generation in MWh from the coal plant and examined how much it would cost to build local wind or solar resources to replace that energy,” said Mike O’Boyle, Energy Innovation’s director of electricity policy. Mark Dyson, principal, Rocky Mountain Institute (RMI) and co-author of The Economics of Clean Energy Portfolios, said that in order to assess the reliability of renewable energy and DERs it’s important to ask the question, “Can DERs and renewables support the operation of a reliable system just as well as fossil plants?” Reliability, he argued, is a system attribute, not a unit attribute. For example, Consumers Energy has decided to shut down all coal plants and not build new gas-fired plants to replace them, but instead pursue renewable energy for new electricity demand. What’s more, Idaho Power this month announced a move to 100% renewables, he noted. Xcel and Platte River Power Authority, Colorado utilities, in December announced transitioning to 100% clean energy. And Hawaiian Electric has been planning for a 100% renewables target by 2045 for several years, “with no foreseen issues about reliability,” said Dyson. Dyson noted that fossil-fuel plants are not 100% reliable. Coal plants fail up to 10 percent of the time. The discussion is important to the microgrid industry because renewable energy is intertwined with the technology on more than one level. Many microgrids generate at least part of their power from renewables. Microgrids also are used as a means to balance renewable energy on the grid when the wind isn’t blowing or sun isn’t shining. 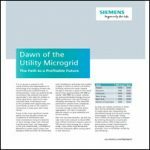 Equally significant, microgrids represent a viewpoint about grid management that is antithetical to use of large, centralized fossil fuel plants; it’s one that instead emphasizes decentralization as a means to lower costs and achieve greater energy, flexibility, reliability and security. The coal-cost report relied on some of the arguments in RMI’s report, which warned that electricity generators are committing customers and investors to as much as $1 trillion in investments and fuel costs through 2030 in an effort to build new gas-fired plants. But they should consider portfolios of renewable energy and distributed energy instead, said RMI. “Advances in renewable energy and distributed energy resources offer lower rates and emissions-free energy while delivering all the grid reliability services that new power plants can,” said the RMI report. Cost declines and innovation in renewable energy and DER technologies allow clean energy portfolios to be acquired at significant cost savings over building new gas plants. In addition, they yield lower risk and zero carbon air emissions, said the RMI report. “More dramatically, the new build costs of clean energy portfolios are falling quickly, and likely to beat just the operating costs of efficient gas-fired power plants within the next two decades — a sobering risk for investors and customers in a market with over $100 billion of already announced investment in new gas-fired power plants,” said the RMI report. The coal-cost report authors made the same argument for clean energy’s ability to replace coal plants. 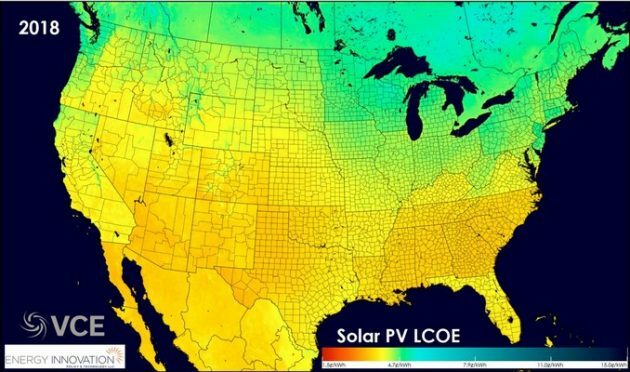 Renewable energy advocates “can push back against reliability or dispatchability arguments by comparing the economics of any single coal plant with a combination of local (or distant but easily accessible) renewables with complementary demand-side and storage resources, or virtual power plants,” said the coal-cost report. Overall, the coal-cost report found that in 2018, 211 GW of existing coal capacity in the US, or 74% of the nation’s coal plants, could be replaced by local wind or solar plants that could provide the same amount of electricity at lower costs. By 2025, about 246 GW, almost the entire fleet, could be replaced by cheaper renewable energy, according to the report. Join us at Microgrid 2019 for a pre-conference workshop on May 13, “Tariffs, Tax Incentives, RECs or Something Else? What’s the Way forward for the Microgrid Industry?” Space limited. Costs for most coal plants ranged between $33–111/MWh. Costs in 2018 for solar were between $28-52/MWh. Wind power costs varied more widely, based on location, coming in at $13-88/MWh, said the coal-cost report. But to make the most of the low-cost renewables, policymakers need to address wholesale market rules that penalize renewable energy. “Coal plants in PJM garner a large fraction of their revenue from capacity markets that are unfriendly to solar (in part because they make no allowances for seasonal performance or time-of-day value),” said the report. Such policies keep coal plants afloat, costing customers, the coal-cost report authors said. Nearly all the coal plants in PJM territory are more expensive than alternatives. “With proper planning and more technology-agnostic rules, tremendous value can be unlocked for customers served by ISOs and utilities,” said the coal-cost report. Like the coal report, the RMI study addresses the ability of clean energy portfolios to replace a thermal power plant-based system. “Renewable energy, including wind and solar, and distributed energy resources, including batteries, have fallen precipitously in price in the last 10 years. At the same time, developer and grid-operator experience with these resources has demonstrated their ability to provide many, if not all, of the grid services typically provided by thermal power plants,” said the RMI report. The RMI study compared the costs of four proposed US natural-gas fired plants against clean energy portfolios of renewable energy and distributed energy resources. Only in one case was the net cost of the clean energy portfolio slightly — 6% — higher than the proposed power plant. In the other three cases, a clean energy portfolio would cost 5 to 60% less than the proposed power plant, said the RMI report. When the RMI report authors factored in expected cost reductions in distributed solar and/or a $7.50/ton price on carbon, all four cases showed that the clean energy portfolio is more cost-effective and lower risk than the proposed gas plant, the RMI report said. In addition to competing with proposed gas-fired power plants on a levelized cost basis, clean energy portfolios will also increasingly threaten the profitability of existing power plants, the RMI report noted. “The same technological innovations and price declines in renewable energy that have already contributed to early coal-plant retirement are now threatening to strand investments in natural gas,” said the RMI report. The RMI report concluded that the cost-effectiveness of clean energy portfolios suggests that much of the planned spending on new gas plants doesn’t make sense. Instead, investments in renewable energy and DERs should be the focus. “This investment trajectory would unlock a market for renewables and DERs many times larger than today’s, minimize risk to investors, enable net cost savings for American electricity customers, and reduce carbon emissions by 3.5 billion tons through 2030,” said RMI. 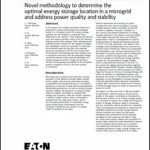 Track microgrid and renewables cost studies. Subscribe to the free Microgrid Knowledge newsletter. There are times when monopolies need to be broken up, and today’s monopolies in the energy sector are clearly identified when oil and gas companies start buying up or “diversify” their portfolios with green trinkets – projects that have one or multiple benefits, while also pushing for policies that ensures their past investments are not lost due to faster shifts toward renewables. This leave-no-money on the table when virtually all scientists have concluded that climate change is real, and that the IPCC has conclude we only have 12 years to shift the balance to mostly renewables – is simply a have-your-cake and eat-it-too strategy. Policymakers have to force a decision upon energy companies – no diversification, either stay addicted to the oil and gas, but get out of the renewables business, or vice-versa. It simply flies in the face of integrity to sit on the sidelines, letting policymaker struggle to appease all stakeholders, when oil/gas stakeholders enjoy the ride instead of acting as if climate change was not a risk that they helped develop as a sector.